what i do when i’m leaving for vacation and have a ton of food i don’t want to go to waste: throw a dinner party. 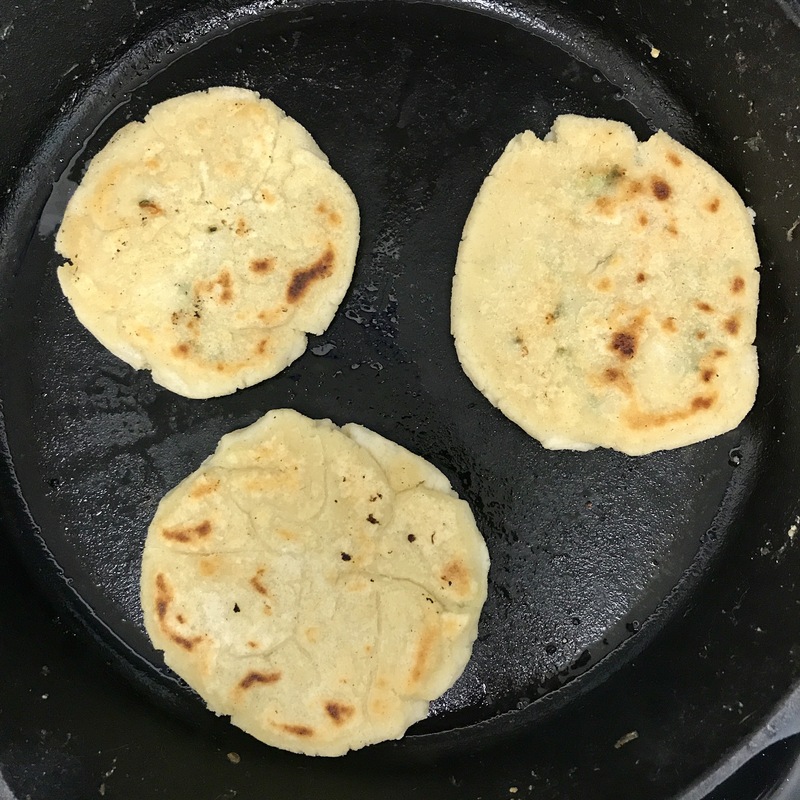 this time i made el salvadoran pupusas, which are little tortilla cakes filled with cheese. 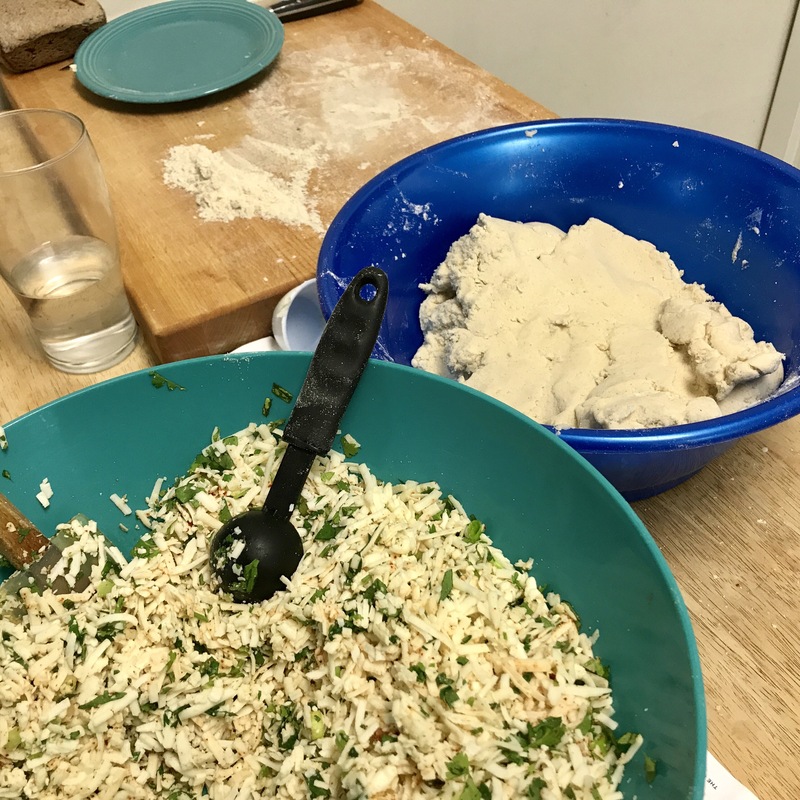 i also used tomatoes from our csa to make salsa and kohlrabi-cabbage-carrots to make the traditional curtido slaw that accompanies the pupusas. the pupusas weren’t that hard to make! first, you make a simple dough with 2 cups masa hairina and 1 1/2 cups water, and a bit of salt. the filling i made was 2 cups shredded mexican cheese, 1/4 cup chopped cilantro cilantro, juice of one lime, and 1 tsp chili powder. 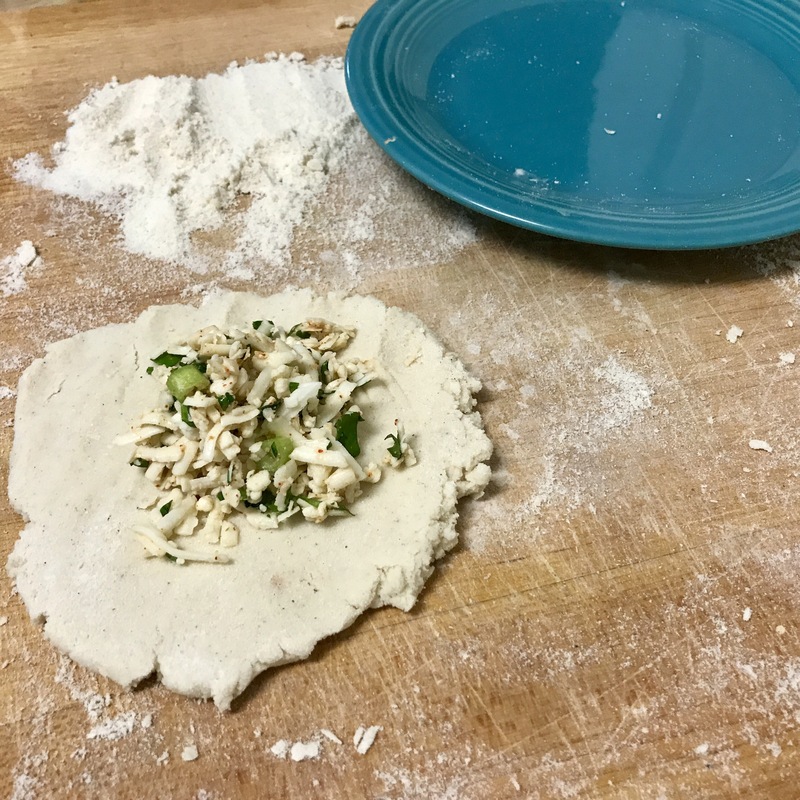 you form little patties of dough out, fill them with stuffing, pinch all the sides up into a dumpling, then flatten it with a plate. 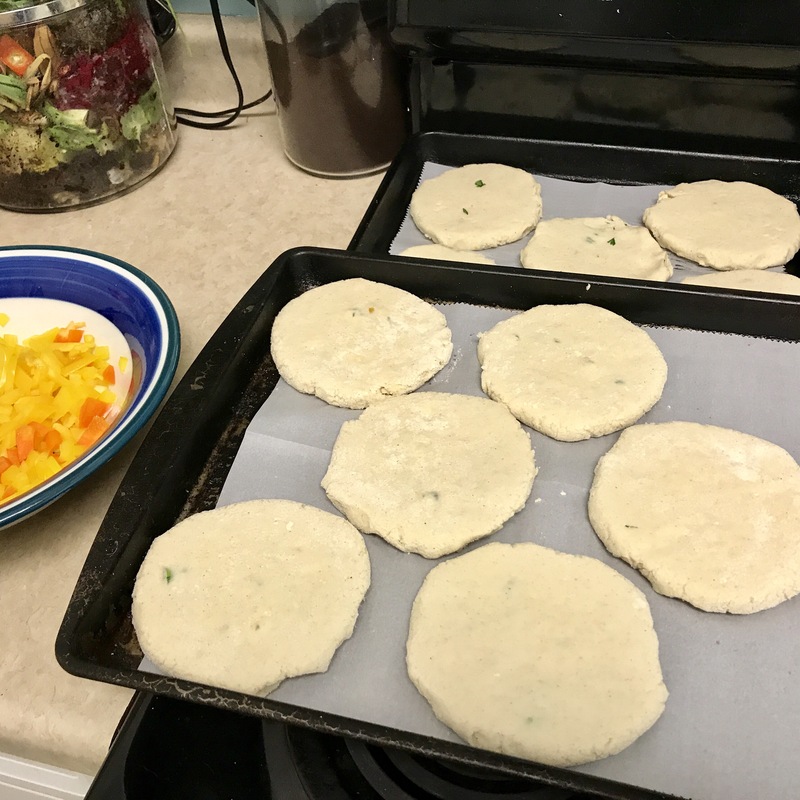 i made almost 60 pupusas and they were pretty good for my first try!